Last month’s issue of UC Libraries’ newsletter Source featured two articles about the libraries’ process and progress in building capacity. Below is one of those articles in its entirety. After an innovative, transformative and event-filled 2015, UC Libraries is starting the new year off strong. 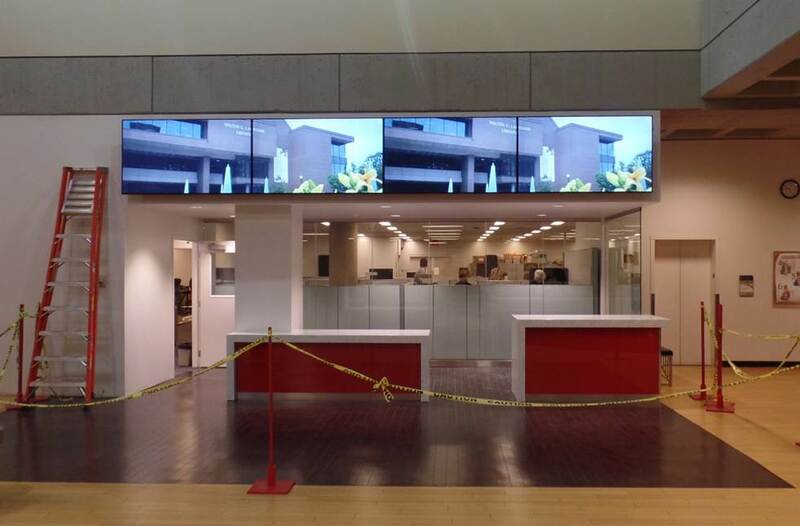 The Libraries are undergoing a great deal of physical change, from the accessible new entrance of the Geography-Mathematics-Physics Library to the updated service desk and learning commons on the 4th floor of Langsam Library. Behind the scenes, our librarians and staff continue to plan and host events and educational opportunities for UC students and library users, like those sponsored by the Libraries’ Diversity grant. The Libraries’ online resources are constantly being refined to provide the best possible access and content for students and faculty, such as the BoardVitals Question Banks recently acquired by the Health Sciences Library. In addition, we are making it possible for UC’s faculty and researchers to archive and make available online their scholarly output with Scholar@UC, UC’s digital repository. Want to know more about the opportunities for faculty, staff and student workers? New positions are posted on the Libraries’ website. This year, look for posts from me about the new and exciting projects and events at UCL, my local, national and international involvement with the library community, and my personal thinking on UC Libraries’ Strategic Plan going forward. Every year, the International Federation of Library Associations and Institutions (IFLA) hosts a general conference where leaders in the global library community gather together to exchange ideas, network with fellow delegates and share the latest advancements in librarianship. This is a conference I relish attending as over the years I have formed valuable relationships and learned a great deal from my colleagues around the world. 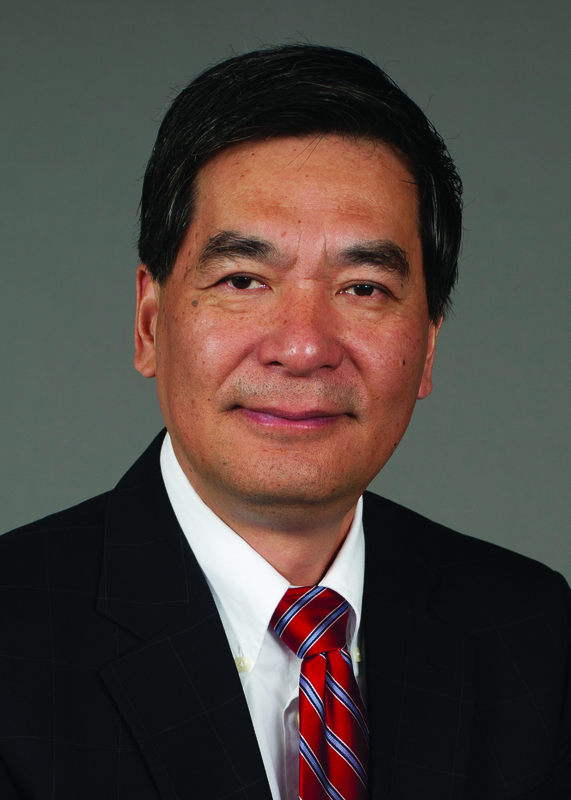 As the dean of UC Libraries, I serve as an ambassador for the university and the Libraries on a global scale. My travel takes me across the United States and around the world for conferences and site visits from San Francisco, California to Zhejiang, China. It is equally important, however, for me to foster my relationships on a local and regional level with the universities and library systems across the state. 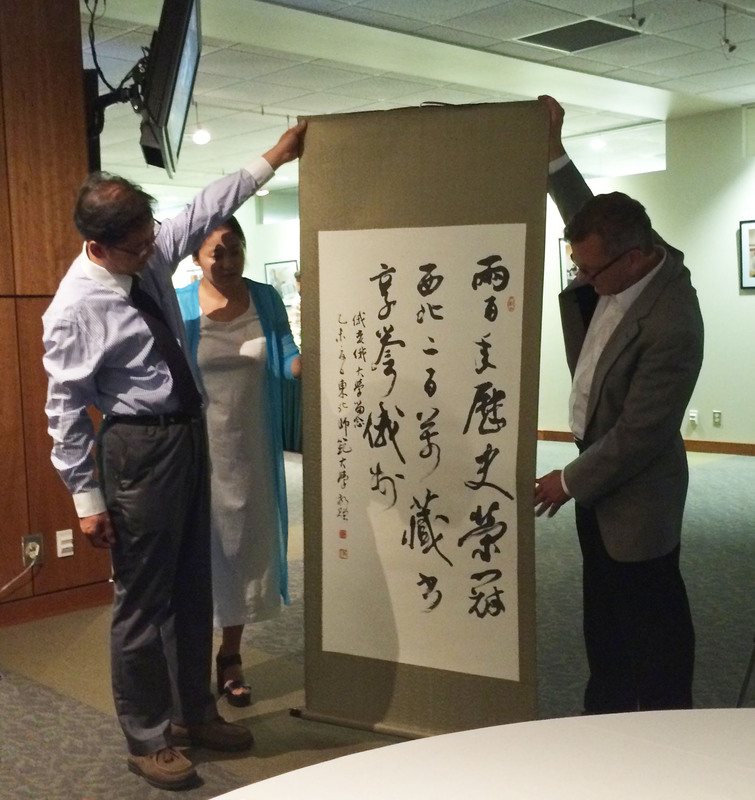 This summer, Ohio University hosted a two-week Institute for Chinese Academic Leaders. Scott Seaman, the university’s dean of libraries, invited me to Athens to participate in a panel about “Current Trends & Changes in U.S. Research Libraries.” This gave me the opportunity to spend time with the OU library leadership, support their international partnerships, and to reinforce the ties between our two libraries. 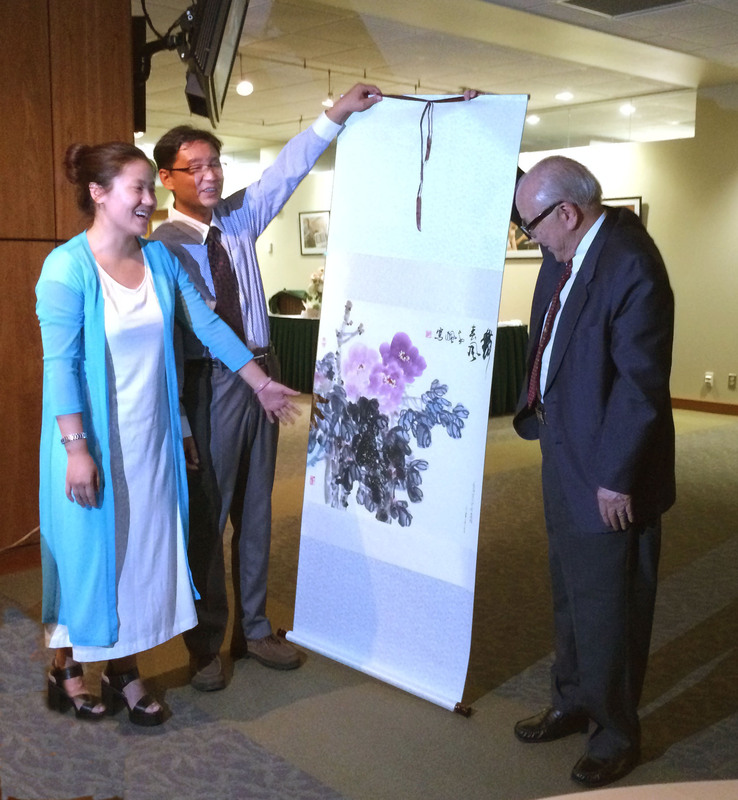 Upon their arrival at Ohio University, the visitors presented dean Seaman and OU’s dean emeritus Dr. Hwai-Wei Lee with handmade scrolls decorated with Chinese calligraphy commemorating the visit. Late last month, UC Libraries celebrated the publication of the new English-language edition of Looking East: William Howard Taft and the 1905 U.S. Diplomatic Mission to Asia, The Photographs of Harry Fowler Woods. This book, co-authored by Margo Taft Stever, James Taft Stever and Hong Shen, spotlights a little known but important historical event in U.S.-Asian relations. The publication was commemorated with a book signing at Joseph-Beth Booksellers, as well as a donor event hosted by the library, which took place on the 400 level of Langsam Library. These events provided UC Libraries with the opportunity to connect with the broader donor community, while celebrating an accomplishment three years in the making. The 2014-15 academic year has been one of exploration, innovation and collaboration for UC Libraries. The launch of the Strategic Plan has contributed greatly to our success with its ten initiatives along with a wide range of events and activities created and sponsored by library faculty and staff throughout our libraries. The initiatives are all focused on the same goal, to make UC libraries the globally connected intellectual hub of the university. Below is a small sampling of those successes. More information on the ten strategic initiatives is available online. Continued from this post, below is more about my trip to China. The first week and a half of April, I traveled throughout China to visit a few of UC’s international partners. My travels began at Zhejiang University (ZJU) in Zhejiang, China. 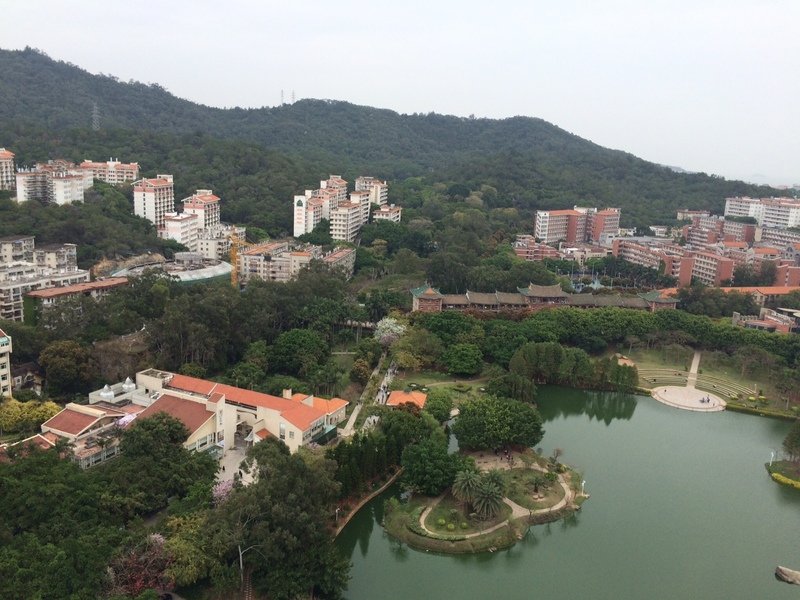 The second week I traveled to Xiamen where I met with colleagues at Xiamen University (XMU).